It’s no secret that the foodservice industry is seeing a rise in demand for gourmet products, as the increasingly discerning Australian consumer seeks out quality ingredients and superior taste. What may surprise you is this has become more obvious in the fast food industry than anywhere else. As consumer health awareness grows, the fast food industry has transformed and on-the-go diners are consciously looking for healthier, premium choices. This change in consumer preferences has led to an influx of new operators according to Ibis World. Savvy foodservice operators will need to cater to this new demand if they don’t want to be left behind and even the humble café catering to the lunchtime crowd needs to consider what ingredients they are using to attract the health-conscious crowd. Bread is a good place to start. 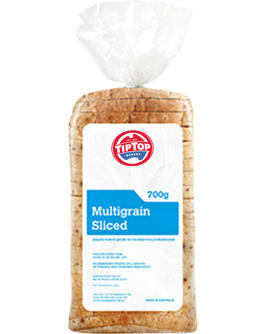 With imaginative toppings, natural ingredients and a great taste, Abbott’s Village Bakery’s high topped breads cater to the sophisticated tastes of Australian consumers, combining tradition with a touch of imagination to make the ‘everyday staple’ that little bit better. 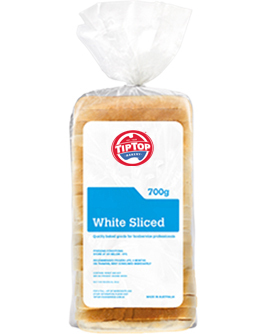 The full Abbott’s Village Bakery range (part of the frozen range from Tip Top Foodservice) thaws quickly, meaning minimal impact on preparation time, and it can be stored in the freezer for up to four months in convenient, small cartons. This allows foodservice outlets to always have sufficient premium product on hand to meet demand, whilst also minimising waste. The products also have no artificial colours, flavours or e-numbers. 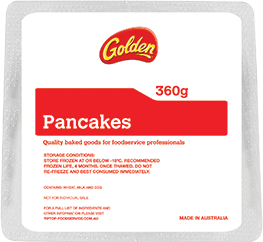 Also available in the frozen range are Golden Pancakes, along with the existing offerings of Tip Top White, Wholemeal, Multigrain, Super Thick White, Super Thick Raisin Bread and Traditional English muffins.